Louis is one of the brightest male stars in HK these days. He is extremely good looking and likeable – a good solid actor – and as he has got a bit older. He seems to have taken on much more depth in his characterizations. He is also clearly one of the more popular actors in HK and is on the list of preferred actors by the filmmakers. Some ten years ago this was highly unlikely -he was arrested and sentenced for theft in 1990 for 22 months, but managed to turn his life around in spectacular fashion. Twenty years ago, Louis Koo (古天樂) and Carman Lee (李若彤) gave unforgettable performances in TVB drama The Return of the Condor Heroes <神鵰俠侶>. Louis and Carman reunited to make a guest appearances in Sandra Ng’s (吳君如) upcoming Lunar New Year comedy film, 12 Golden Ducks <12金鴨>. 12 Golden Ducks, which will be released on February 19, has been topping many headlines due to its star-studded cast. Starring Sandra, the film is jam-packed with many guest appearances from superstars all over Greater China, including Simon Yam (任達華), Isabella Leong (梁洛施), Anthony Wong (黃秋生), Nicholas Tse (謝霆鋒), Joey Yung (容祖兒), Vicki Zhao (趙薇), and much more. In the film, Louis and Carman will portray a humorous pair who are working out together in the gym. In their sequence, they paid homage to various scenes from The Return of the Condor Heroes, including the scene in which Yang Guo and Little Dragon Girl practiced the Jade Maiden Heart Sutra. It says something about Louis Koo Tin-lok's ridiculously high level of popularity that he feels obliged to deny it - and you get the impression this is less out of modesty than to maintain the illusion that he isn't on the verge of overexposure. As I remark to him during our late January interview that he's virtually everywhere these days, Koo replies with a succinct "I'm grateful". But when I specifically list the dozen occasions - in TV commercials, Facebook promotions and the entertainment news, on magazine covers and ambassador duties, to name just a few - I have spotted him in the few hours leading up to this afternoon's appointment, he gets defensive. "It's just that you have great observation skills," says the 44-year-old actor. An expert in generic one-liners, Koo's numbers speak for themselves. In 2014, he topped a chart of highest-earning local celebrities with a reported income of HK$300 million. After appearing in seven movies released last year - starring in Pang Ho-cheung's Aberdeen, Johnnie To Kei-fung's Don't Go Breaking My Heart 2, action thrillers Overheard 3 and Z Storm, as well as eye-catching cameos in Lunar New Year films Hello Babies and Golden Chickensss, and bawdy comedy Naked Ambition 2 - Koo is already looking on course to repeat that feat. Only this time around, he has three new movies - Triumph in the Skies, An Inspector Calls, and 12 Golden Ducks - slated to open on the same day: February 19, the first day of the Lunar New Year. Does he see that as a career milestone? Koo pauses for seconds, and says, "Is that my personal record? I don't look at it that way. It doesn't matter how many movies I have around this time. The most important thing is that the audiences have fun." The Lunar New Year turns out to be one of Koo's favourite times of the year. "It's one of those rare occasions where you can sit down with the entire family to watch a movie. When I'm paying a New Year call to my relatives, I'd suggest going to the cinema too. It's a festive period for all. Watching movies, going to the flower markets, singing karaoke and playing mahjong: these are all options." Combine that sentiment with the lucrative box office potential of Lunar New Year - according to the HK Motion Picture Industry Association, a quartet of Chinese-speaking titles notched more than HK$118 million in that slot last year - and you understand why Koo relishes the holiday period. "But that's not a factor when I choose to accept an offer," he says. For those in the media, it's common knowledge that Koo is a reticent interviewee. And the already tense atmosphere is exacerbated by his long-time manager Ronnie, who continually cuts off questions not directly concerned with the one movie Koo is there to promote. Which means you won't be reading much about An Inspector Calls or 12 Golden Ducks in this piece. Ironically, of the three festive films Koo is starring in, Triumph in the Skies - the one he's here to talk about - stands out as the only project that didn't begin as a Lunar New Year offering. "When I agreed to this, I didn't know that it would end up opening then," he says. A spin-off of the popular TVB drama series that ran for two seasons in 2003 and 2013, Triumph in the Skies has added two stars - in Koo and singer-actress Sammi Cheng Sau-man - to the original cast headed by Francis Ng Chun-yu and Julian Cheung Chi-lam. The action is set in Hong Kong and Britain, with Brighton and London providing scenic backdrops. And while there are three pilots and one flight attendant among its six protagonists, the movie is more romance than aviation drama. Koo remembers enjoying watching the television series. "It's about the joy and sorrows in the careers of airline pilots and flight attendants. People are curious about these professionals because they get to fly to so many different places around the world." For those who long for Koo to replicate his magic on the small screen - he emerged from a career-shaping spell at TVB from the mid-1990s to early 2000s, and is still contracted to make a 40-episode series that he's been putting off since - Triumph in the Skies will come as some solace as the actor shares an onscreen romance with television mainstay Charmaine Sheh Sze-man. "She's a very professional actress with a lot of experience," says Koo of his co-star. "Although there are three storylines in this film, we managed to grasp the feeling of romance in the limited time we were given. It was difficult, but I think she did very well." The occasion also marks Koo's reunion with Wilson Yip Wai-shun and Matt Chow Hoi-kwong, the experienced director-scriptwriter pair behind Bullets Over Summer (1999), starring Koo and Francis Ng. For a change, Yip and Chow are taking on co-directing duties for the new film. "Actually, I think it's the first time Yip has made a romance," says Koo, who has forgotten that he also starred, alongside Miriam Yeung Chin-wah, in the director's 2002 rom-com, Dry Wood, Fierce Fire. "He was quite nervous before the shoot, but eventually found that it is an easier task than he had imagined." It's a small industry these days, and no one would be shocked to learn that Matt Chow also directs 12 Golden Ducks, the Sandra Ng Kwan-yu comedy vehicle - and a sequel, in spirit, to last year's popular Golden Chickensss - to which Koo lends a hilarious supporting role, this time as a fitness trainer. Given that the actor has starred in all four Raymond Wong Pak-ming-produced All's Well, Ends Well movies released between 2009 and 2012, it's hard to feign surprise at Koo's titular role in yet another Wong ensemble comedy. Co-directed by Wong and Herman Yau Lai-to, An Inspector Calls is a Cantonese adaptation of J.B. Priestley's classic British play. Koo downplays his productive output by way of a general assumption. "The truth of the matter is that the quantity of actors working today - not just in Hong Kong but in Asia in general - is on the smaller side. It's the case for both male and female actors," he says. Judging by his recent reappointment as ambassador of the Hong Kong International Film Festival, the latest edition of which kicks off on March 23, he may have a point about the shrinking pool of acting talent. It's almost a mundane footnote to add that Koo's fourth film of 2015, education drama Little Big Master, also opens that week. "Well, there are other actors who are very prolific too," Koo says. "I'm just one of them. It's no big deal. I do hope there'll be more actors who can establish themselves and give everyone more options." As possibly the highest-profile Hong Kong actor to have never been named best actor at the city's annual film awards, Koo says he will "leave that to fate" and won't strive for more attention-seeking parts. "They wouldn't come up just because I wanted them to," he dismisses my inquiry with more than a hint of impatience. While there is always the dilemma that we may be feeding the beast by offering the reluctantly famous star this cover story, it would border on professional negligence to ignore this incredibly prolific phase of his career. The question has to be asked: is there any role that you would say no to? Which means that you'll be taking up any new challenge that finds its way into your hands? In the uncomfortable silence that follows, one thing is obvious: Koo is not going away. 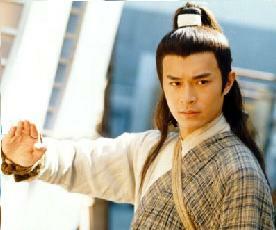 Louis Koo (古天樂) is not as quiet and mysterious as you may think he is. The 46-year-old actor, who has been in the industry since the mid-90’s, has always kept a low profile when it comes to his private life. Not much is known about his love life, and because to his mild personality, Louis has had a smooth, non-controversial entertainment career. In his latest film Shed Skin Papa <脱皮爸爸>, which will start showing in Hong Kong this April, Louis plays a struggling film director who rekindles his estranged relationship with his father (played by Francis Ng) as his father sheds a layer of skin everyday that regains his youth. It was a role that Louis has never played before in his 2-decade film career.